Search engine optimization is a two-part process. You’ll want to optimize your web content (on-site) and work on getting many incoming links (off-site). This article will focus on the ways you can improve your search engine ranking by working on off-site factors. Think about the reasoning behind the search engines decision that incoming links prove that a website is valuable. When you find impressive information on a website, what do you do? You link to it. This is not only proven with articles, but it works with other types of websites. If you find a free piece of software or a really inspirational video, you may mention it on your blog or website and include a link to that website where your visitors can claim it. That’s what people naturally do. The search engines recognized this and realized that the most popular websites like CNN.com or ESPN.com are linked to quite frequently and naturally. 1. Create a quality website with unique, informative content. Vistors will be more open to linking to your website if you have much to offer. Of course, if you have a product website (a storefront) then this can be a bit harder, so the next one is for you. 2. Start an affiliate program. 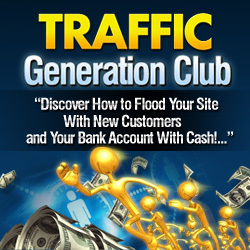 You’ll be surprised how many people will link to you if they have the potential to make money doing so. 3. Do something newsworthy and write a press release. Not only will you have incoming links from the press release distributors, but you also stand chance to get your story picked up by TV, radio, and print newspapers. 4. Become a columnist for another website. Contact websites in you niche and offer to write a regular ongoing column for them – or even provide a weekly tip or idea. You’ll get plenty of links – and build a networking relationship by doing so. 5. Write and submit articles to article directories. Simply write an informative article and submit it to article directories where other website owners can publish it – with your Author Resource box at the end which includes your URL. These are just a few of the many ways you can increase the number of incoming links to your website. With a little creativity and some hard work, you’ll see more traffic coming through those links in the coming months. Can You Really Make Money Blogging? Should I Use An eBay About Me Page?